Doug came along on our Day of the Dead Photography Expedition because his wife Debbie wanted to go to Oaxaca and learn how to use her new camera. Doug was reluctant but willing. His passion is underwater photography and the couple had recently returned from a South Pacific dive/photo trip where Doug shot some pretty stunning fish (he showed us some of his photos). Taking pictures on terra firma was just not his thing. But, we converted him! Each of us had a different perspective on the comparsas. In Photo 1 (left) Doug got the photo we all dream of — perfect eye contact from one of the parade participants. In Photo 2 (right), a street cleaner in Xoxocotlan wearing his rain gear as we all huddled under an awning. In Photo 3 (left), Doug and Debbie, who are from Northern California, got a sneak preview of Mauricio Cervantes’ El Sueño de Elpis multimedia art installation. The textures of this 17th century structure are amazingly clear and the perspective of the altars using bed frames and chairs say it all. Mauricio used his childhood bed as a model to construct the bed altars. “I came along with less enthusiasm than Debbie but could not be more thrilled with the overall experience,” says Doug. In Photo 4, the play of light and shadow, foreground blur and the perspective of Mauricio’s El Sueño de Elpis creates the mood that the artist intended. Photo 5 is like a Monet landscape, subtle and muted. 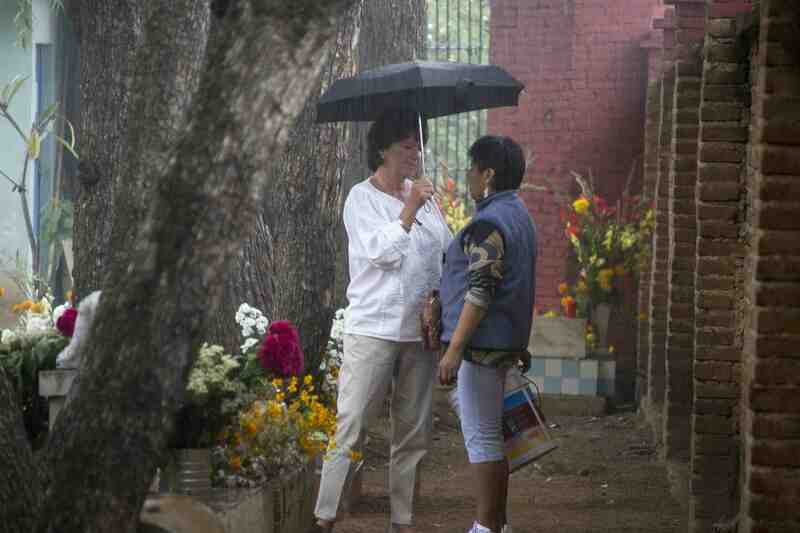 Look closely and you can see the raindrops in from of Debbie’s umbrella. 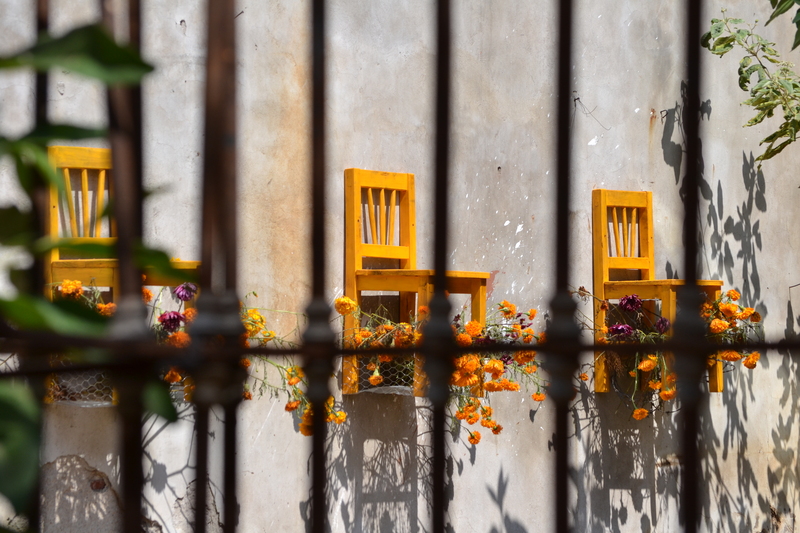 Doug took this shot in the Xoxocotlan old cemetery during preparations for the village’s October 31 commemoration of Day of the Dead. Even with a language barrier, people connect! 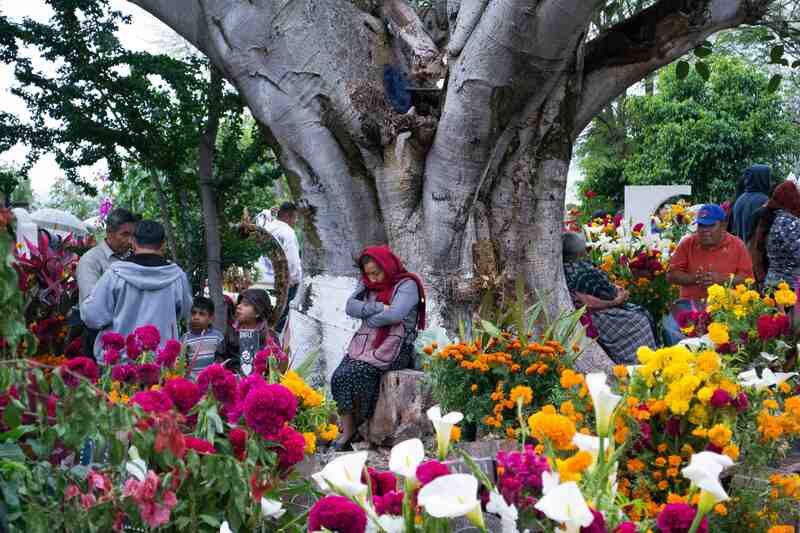 And, in Photo 6, on November 2, villagers in Teotitlan del Valle pay tribute to their loved ones at the cemetery. Doug and Debbie went there with their host family, Pedro Mendoza and Carina Santiago. “I cannot recommend Bill [Bamberger] enough. He was, in my opinion, a fabulous choice for this class,” says Doug. 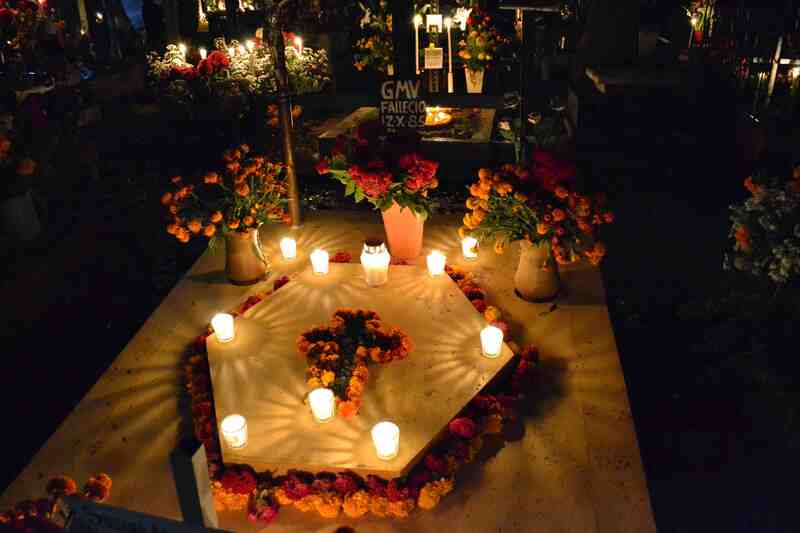 Photo 7 gives us a closer look at a Xoxocotlan grave site adorned in marigolds and candlelight. Great clarity and depth of field for a difficult to execute night shot. Bravo, Doug. 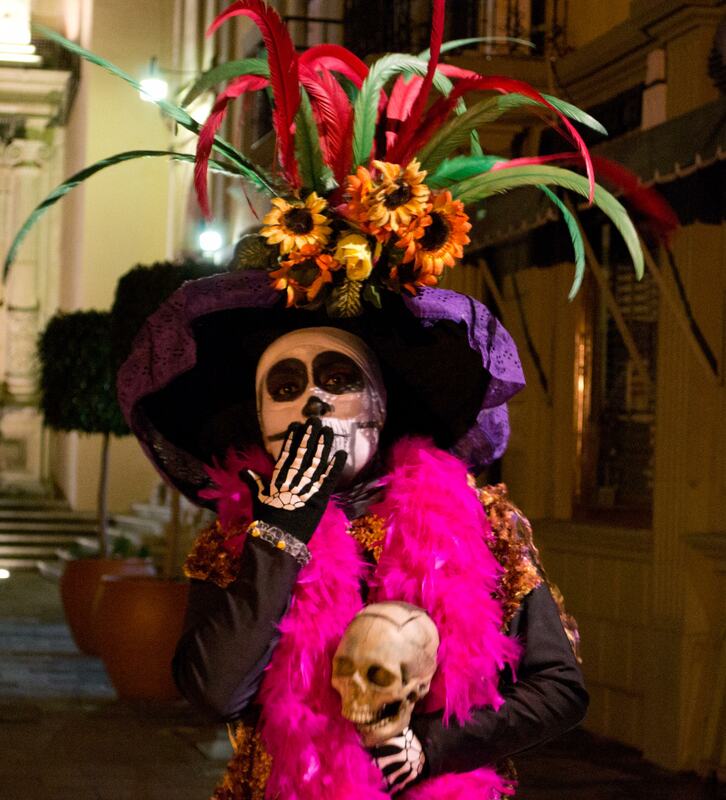 Oh, my goodness, this Calavera Catrina might be saying, as she stood on the Zocolo next to the Cathedral with her skull filled with fortunes for anyone who gave a propina (tip). Her outfit, topped with feathers along with a corn husk skirt (not seen), was over the top. A perfect photo opp! Thanks, Doug for this Photo 8. “I loved the experience at the Chavez Santiago Family Weavers. I felt very safe and had no fears for safety at all. Thank you both [Bill and Norma] for a great learning experience!” says Doug. 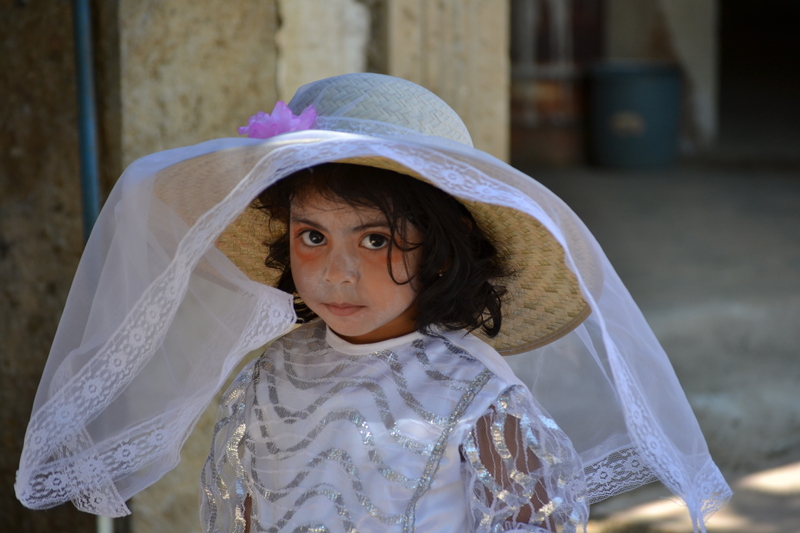 Our next adventure is Street Photography with Frank Hunter starting January 16. 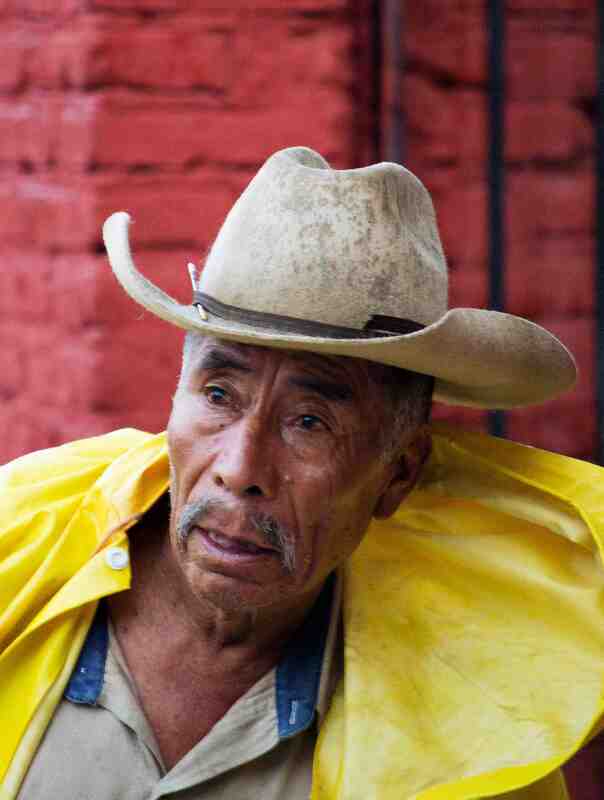 Get away from the cold and come to Oaxaca to learn from an extraordinary photographer/teacher. A great holiday gift. This entry was posted in Cultural Commentary, Oaxaca Mexico art and culture, Photography, Workshops and Retreats and tagged blogsherpa, day of the dead, Mexico, Oaxaca, photography. Bookmark the permalink. 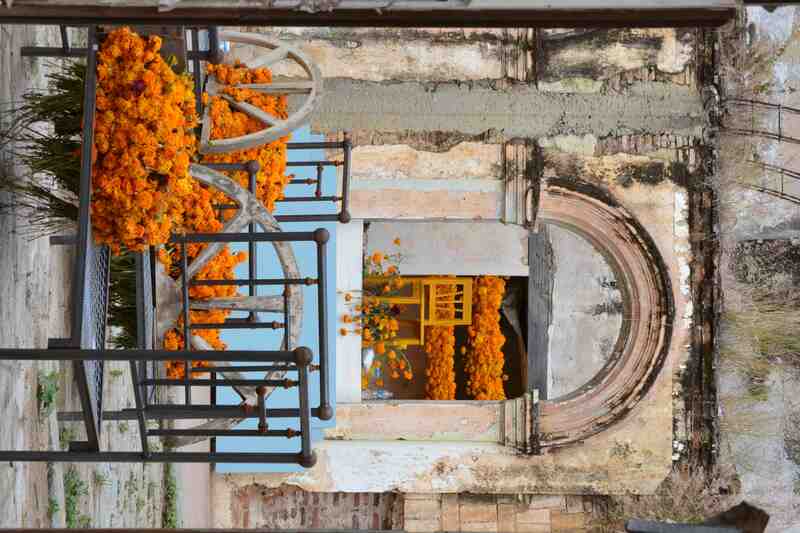 Absolutely breathtaking shots – they take me back to Oaxaca! Thank you for the eye, and for sharing. When are you and Bernie coming?